Guruvayoor, where the famous Sri Krishna Temple is situated, is one of the most sacred and important pilgrim centers of kerala. The walls of the sanctum sanctorum are inlaid with exquisite mural paintings and carvings.The historic temple is shrouded in mystery. According to local belief, the temple was created by 'Guru', the 'preceptor of the gods' and 'Vayu', the 'god of winds'. The eastern 'nada' is the main entrance to the shrine. The square 'Sreekovil' is the sacred sanctum sanctorum of the temple, housing the main deity. 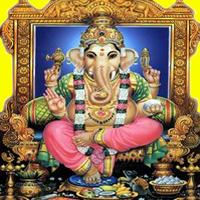 Within the temple, there are also the images of Ganapathy, Sri Ayyappa and Edathedathy Kavil Bhagavathy. Only Hindus are allowed inside the temple. Punnathoorkotta, which is at a distance of 2 kms. From Guruvayoor is home of 50 temple elephants, offers unusual spectacles of the gentle pachyderm. Guruvayoor has emerged as one of the most important places of worship in Southern India. Thriprayar Temple, located south of Thrissur is one of the important temples dedicated to Lord Rama. The exquisite wood carvings, sculptures and Mural Paintings are an interesting sight. The namaskara mandapam which faces the circular sanctum (srikovil) has 24 panels of wood carvings and several ancient murals. The circular sanctum has several sculptural representations of scenes from the Ramayana. The image of Rama resembles the chaturbhuja Vishnu form with four arms, bearing a conch, a disc, a bow and a garland respectively. 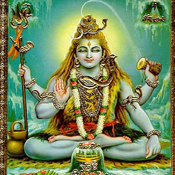 It is believed that the deity worshipped here possesses some of the aspects of Shiva too. Images of Sridevi and Bhudevi are on either side. 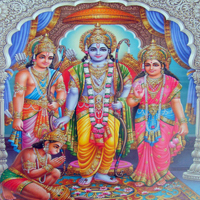 Rama has been conceived in the form of the victor over the demon Khara. 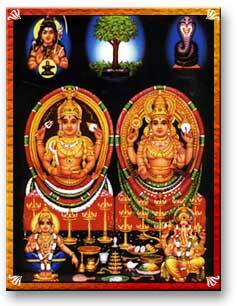 Five worship services are carried out each day - (usha, etirthu, panthirati, uccha, athazha). Every day of seven days the procession starts from Triprayar for a certain place where the arattu (bathing ceremony) is hold, giving- opportunity to thousands outside Triprayar to offer Worship to the deity. Chottanikkara temple, located near Ernakulam enshrines Bhagawati - the mother Goddess, is one of the most popular deities in Kerala. On the way is the Poornatrayesa temple at Tripunittura. 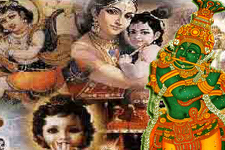 The goddess is worshipped along with Lord Vishnu. People who have mental illness seek refuge in the divine mother, who graciously cures all her devotees. Goddess Rajarajeswari is the presiding deity. This deity is worshipped in three different forms - as Saraswati in the morning till7:00 - draped in white, as Bhadrakali at noon draped in crimson, and as Durga in the evening decked in blue. The image in the shrine is not fixed to the ground and is mounted on loose sand. Water offered during ablution ceremonies percolates underground. It is one of the largest temples in Kerala and has excellent carved woodwork.It has three main shrines. One is dedicated to Vadakkunnathan (Lord Siva) and another to Sankara Narayana (Vishnu). South of these two shrines is a shrine dedicated to Lord Rama. Vadakkunnathan (Ten-Kailasanath) is a Maha-linga that is covered with offerings of hundreds-of-years-old ghee . The linga cannot be seen because the traditional abhisheka (bathing) with cow ghee over centuries has formed a 3m (10 ft) mound around the linga. This covering even makes it difficult for the priest to walk around the inner sanctum. The shrine dedicated to Sankara Narayana has beautiful paintings of the Mahabharata. There is also a Deity of Krishna in the temple and a Ganesh deity betweenthe two northern altars. This temple is in the park, right in the center of the city.On the walls there are excellent murals of the Mahabharata and of Lord Vishnu reclining on Ananta. The famous kuttambalam, or theater hall, is on the left of the entrance. Non-Hindus are not permitted in the temple except during the Pooram festival, when the restrictions are lifted. This temple is famous for Attukal Ponkala, the annual festival that commences on Bharani day in Kumbhom (February - March)Known as the Sabarimala of women,. The highlight of the festival is the Ponkala which is an all woman affair. Ponkala is an offering made in Bhagavathy temples, prepared in the form of payasam (sweet porridge) with ingredients like rice, jaggery. Coconut kernel and plantain. Ponkala starts in the morning and ends with the melsanthi (chief priest) sprinkling holy water over the offerings. Sivagiri Mutt: This Mutt is a religious site, founded by Sree Narayana Guru (1856 – 1952), the famous philosopher and social reformer of modern Kerala.Sivagiri is the headquarters of the Sree Narayana Dharma Sangham Trust.This mutt is situated at an elavation, 3 km. east of the Janardhana temple. 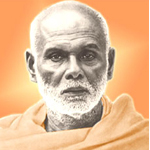 The ashram is devoted to Sree Narayana Guru (1855-1928), whose followers are the Ezhavas. Guru preached the doctrine, 'one caste, one religion, one god for humanity' and attracted a large following among the lower castes. Thousands of followers visit the Mutt each year. Every afternoon, ‘sadhya’ is served at the mutt for Rs 10. The Sivagiri Gurusamathi, Sivagiri Sarada Mutt & Sivagiri Vaidika Madom are the main buidings. Sree Janardhana Swamy temple is a pilgrim centre for Hindus who visit this temple in huge numbers. This temple is built on a hill top that has become a sobriquet for the region. Non-Hindus, however, are not permitted entrance in the inner sanctum but can hang around in the temple. This holy shrine, dedicated to Lord Ayyappa is a renowned pilgrim centre atop the rugged hills of the Western Ghats. The sanctum sanctorum nestles 914 m above sea level, amidst the virgin forest wilderness of the Western Ghats.The main pilgrimage is undertaken between November and January. Regardless of caste, creed, colour, they wear black dhotis and carry on their heads, bundles containing traditional offerings like coconut filled with ghee, camphor and rice. 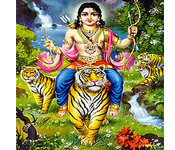 There are two main pujas called the Mandal Puja and the Makara Sankranti Puja, which are celebrated .From November to Middle of January in Kerala, during which time the devotees perform austerities and penance. A well known pilgrim centre and one of the six abodes of Lord Subramanya or Muruga. The shrine stands on top of the Palani Hills consisting of 660 steps. There are rope ways too, to take pilgrims to the top. 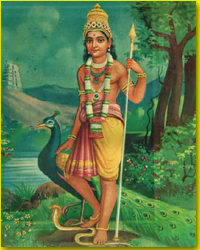 The main deity is called Dandayudapaani. The Madurai Temple is dedicated to Goddess Meenakshi, the lovely consort of Lord Shiva. The original temple was built by Kulasekara Pandya, but the entire credit for making the temple as splendid as it is today goes to the Nayaks. The Nayaks ruled Madurai from the 16th to the 18th century and left a majestic imprint of their rule in this Temple. The Ramanatha swamy Temple at Rameswaram was built by different rulers at different times after 12th century onwards. It is one of the best examples of Dravidian architecture. The corridor of this temple is the largest in India. The corridor is 197 mts by 133 mts. The temple is built in a sprawling area of six hectares and has 22 wells. This small temple is dedicated to Kanyakumari, or the youthful form of the primeval energy Shakti (Mother Goddess). It is located on the seashore, in the town known by the same name at the southern tip of India. It is a place at the confluence of the Indian ocean, The Bay of Bengal and the Arabian sea. The Vivekananda Rock is another attraction of this place. The Cheraman Juma Masjid is believed to be the first mosque in India, built around 629 AD. The mosque is unique because it was baseed on traditional Hindu art and architecture and resembles a temple. This mosque is famous for the Chandanakkudam Festival which is said to be the death anniversary of Bheema Beevi, a devout pilgrim who came to Kerala from Mecca. Festivities include devotees going round the mosque carrying earthen pots (kudam) smeared with sandal wood paste. The Uroose festival here is also famous. Reaching Guruvayur in the evening and check in to hotel. Proceed to visit temple and atthazhapuja Over night stay at hotel. Darshan at Guruvayur Temple. Proceed to visit Mammiyur temple, Covvallur temple and Ariyannur temple. Visit Elephant court .Over night stay at hotel. On arrival the Morningkerala Holidays Tour representative will meet you and assist you to Visit Ernakulam siva temple , Chottanikkara Temple, Thripunithura Hill Palace, Vaikom Temple, Stay overnight at Cochin, Kerala, South India. Eraly morning to Guruvayur Temple darsan. Proceed to visit Mammiyur temple, Visit Elephant court Evening visit Trippayar Sree rama temple,Kodungaloor bhagavathy temple Over night stay at hotel. Early morning proceed to Trivandrum. Enroute visit Kottarakkara Temple, Aranmula Temple, Mannarassala and Ambalappuzha temple. Reach Trivandrum in the Evening and Check into hotel. Over night stay at hotel. ?Copyright 2008-2012 cheraihotel.com-KeralaPilgrim Tour packages-?Dreamwork creations?